Just a few short years ago, filmmaking opportunities in Costa Rica were non-existent. But a new crop of advocates are changing that. Fábrega’s experience is a typical one for aspiring directors in Costa Rica and throughout Central America. However, a number of recent developments throughout this emerging film community are starting to change the identity of the country and inspire a new generation of filmmakers to improve its reputation. In Fábrega’s case, the desire to pursue a filmmaking career in Costa Rica arrived only once she saw a range of possibilities elsewhere. She spent three years in middle school living in New York while her mother finished a doctorate program there, and later attended the Havana Film Festival, where she was inspired by movies produced far beyond the reaches of Hollywood. Eventually, she studied film production in London Film School before returning to Costa Rica, where found herself back in a limited arena. These days, however, she’s especially well-entrenched in the scene. Settled in Costa Rica, she teaches film at the local university and has been developing two projects at the local film festival’s works-in-progress lab, one as director and the other as producer. While sitting with IndieWire at the festival’s hub at the center of town, she was continually interrupted by a string of well-wishers from the Central American film scene — including Julio Hernández Cordón, the Guatemalan-American who many consider to be the region’s first true breakout. His 2008 debut “Gasolina” received strong reviews on the festival circuit, and later films have continued to find supporters, including this year’s Toronto International Film Festival entry “I Promised You Anarchy.” His next project is also being workshopped at Costa Rica International Film Festival’s lab. Much of this recent momentum stems from events that have been in progress for quite some time. The 2004 launch of the film fund Cinergia provided financial support for a number of developing Central American projects, including “Gasolina” and “Ixcanul,” Guatemalan director Jayro Bustamante’s 2015 festival hit, which was the country’s foreign language Oscar submission. Troz and Quesada also run a boutique distribution company called Pacifica Grey, which releases four films per year in the country. 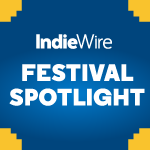 The company’s recent slate includes festival favorites such as “Little Men” and “Aquarius.” In the country’s capital of San José where the festival takes place, Pacifica Grey has a healthy outlet in the 550-seat independent theater Cine Magaly. Five years ago, the theater stopped showing Hollywood fare after it failed to compete with multiplexes in nearby malls. The alternative programming has yielded strong returns. During the festival, most screenings filled up with a mixture of young cinephiles and curious locals. As “Viaje” — in addition to several of the recent films in the festival’s Central American competition — prove, stories from Central America are primarily intimate character studies. “It’s not very political,” Fábrega added. “It’s an aesthetic-narrative search more than anything else. People are more in contact with what’s happening in other places than before.” Quesada, who oversees the festival lineup, agreed. There has been no shortage of new examples to explore. For the third edition of the works-in-progress lab at the festival, nine films in various stages of post-production are being showcased from across Central America, in addition to seven pre-production projects from Costa Rica. Participants meets with filmmaking mentors that include “Neon Bull” producer Sandino Saravia and longtime Pablo Larraín editor Andrea Chinogli, in addition to industry professionals and distributors from Argentina, Ecuador and Mexico. The underlying goal is to gain traction for the projects outside of the area. The selection for the labs includes a mixture of narrative and documentary projects from first-time filmmakers in addition to others a few films in. This year’s competition includes one film, “Abrazame Como Antes,” which went through the lab several years ago. Notably, many of the directors emerging from the region are women. These include Hilda Hidalgo, who adapted Gabriel Marquez’s “Del amor y otros demonios” and now has a second feature in post-production; Alexandra Latishev, Fábrega’s producing partner, whose short films have made waves on the international circuit in advance of the feature-length debut she has in post-production; and Ana Endara, whose third documentary “The Joy of Sound” premiered at the recent International Documentary Festival in Amsterdam.